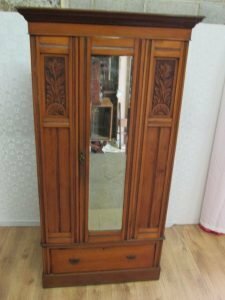 A tall standing heavily carved solid wood triple wardrobe, having a full length mirrored door above a large drawer. 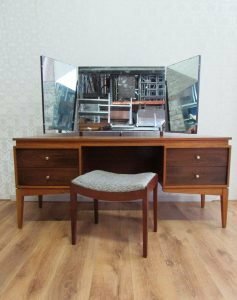 A retro teak three drawer dressing table and tri folding mirror, together with a matching square stool. 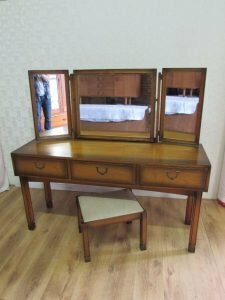 A vintage solid wood four drawer dressing table and tri folding bevelled mirror, together with a dipped stool. 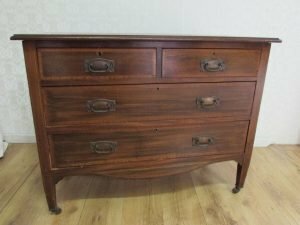 A vintage solid wood chest of drawers on castors, having two small over two large drawers with copper handles. 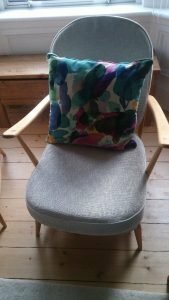 A solid wood high back nursing chairs upholstered in grey fabric. 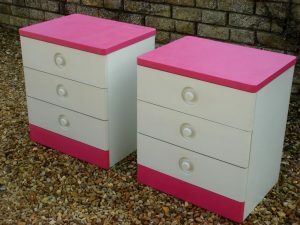 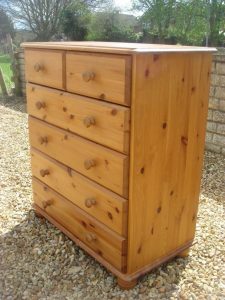 A pair of bunk and white bedside chests of drawers, each having three drawers. 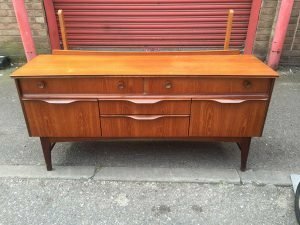 A large 1960’s vintage dresser, having two large drawers above two cupboards and two smaller drawers. 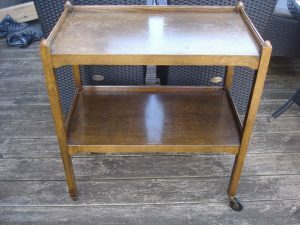 A tall vintage solid oak two tier kitchen trolley on castors. 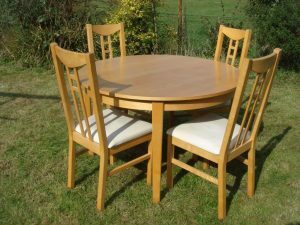 A solid pine circular dining table, together with four matching high back dining chairs, upholstered to the seats in white fabric. 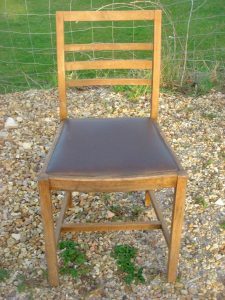 A vintage solid wood ladder back dining chair, upholstered to the seat in brown authentic leather. 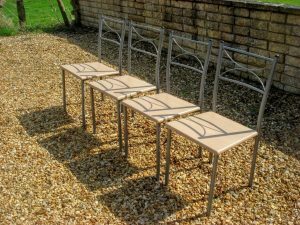 A set of four metal and pine high back dining chairs. 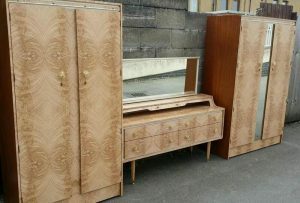 A three piece vintage furniture suite, to include a tall standing solid wood double wardrobe, a mirror inlaid triple wardrobe and a vanity dresser. 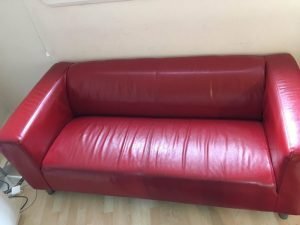 A two seater low back sofa on chrome legs, upholstered in red authentic leather. 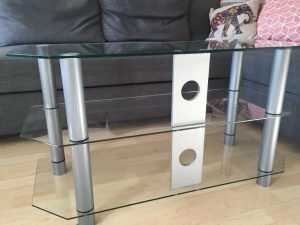 A glass and chrome three shelf television unit. 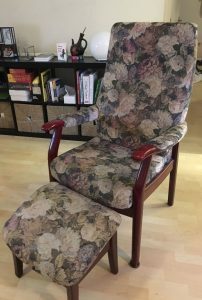 A vintage solid mahogany high back armchair and matching footstool, upholstered in floral patterned fabric. 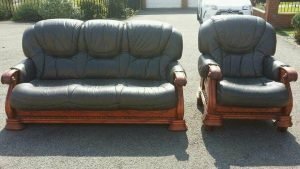 A three seater high back vintage sofa and matching armchair, on a solid wood heavily carved frame and upholstered in green authentic leather. 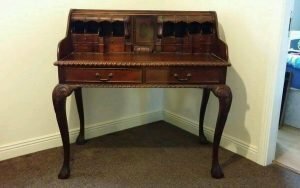 A solid mahogany vintage writing bureau, having eight small drawers above two large drawers. 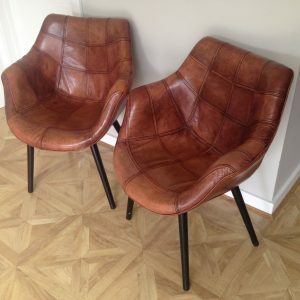 A pair of vintage low back fireside armchairs on mahogany legs, upholstered in authentic tan leather. 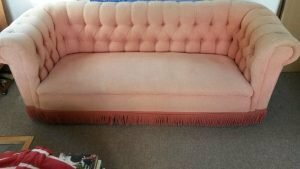 A two seater low back Chesterfield vintage sofa, upholstered in pink velour with button and fringe details.